Description The Muck Beetles stampeding across Nuna want to eat all your tastiest flowers! Luckily Wedge has developed some great weapons to fight the muck invasion. Plant flowers to gather lumins, and then build up your water defenses to melt those bugs pronto! Be careful to balance your attack—don’t let a rogue Colossus break through and eat your flowers! Controls Click the menus to choose a flower or defensive unit. Move the mouse to select a location—the blue highlight shows where units can be placed. Click again to place the unit. Plant flowers to attract more lumins. Spend lumins to buy new defensive units. Click existing defensive units to buy upgrades. Your defenses will attack and destroy the invading Muck Beetles. 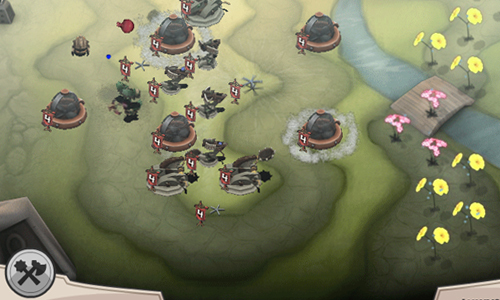 Experiment with different units and locations to maximize your defenses. Unusual tower #defence #game! But very cool and great graphics! I like!